Microsoft is set to finally overtake Nintendo in the gaming stakes, with overall sales of the Xbox 360 poised to surpass the total number of Wii consoles bought in the UK. It's been a long time coming for the Xbox 360 to become a UK best seller. 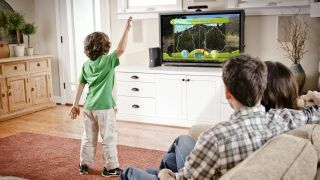 Although Microsoft's console was launched months before the Wii, and managed to gain some 3 million extra sales before Nintendo revealed its rival, the relatively cheap price of the Wii meant that gamers flocked to the console. As of 2008, the Wii has been outselling all other consoles in the UK but in recent months sales have ground to a halt, with Nintendo dedicating its resources to the Wii U. This has meant that Microsoft has managed to finally outpace Wii sales, with the Xbox 360 edging past 8.4 million console sales in the UK - according to data from GFK Chart-Track. There is still some way to hit the 10 million mark laid down by Sony and the PS2 but this hasn't stopped the UK managing director of Xbox, Harvey Eagle, saying to MCV: "This is an historic milestone and our sincere thanks goes to each and every person that has bought and enjoyed Xbox 360 over the past eight years." And it's not just in the UK where Xbox sales are soaring. It is thought that the Xbox 360 will overtake the Wii in the US by the end of the year, too. NPD data, sifted through by Ars Technica, notes that over the last 12 months the Xbox 360 has been outselling the Wii by 278,000 units a month. A quick forward calculation means that the lead the Wii currently has on the Xbox 360 in North America will have dwindled by Christmas. With the Xbox One and PS4 appearing in shops in the coming months, it will be interesting to see how much love Microsoft and Sony give their older platforms. But with a redesigned Xbox 360 coming with a cheaper price point, and the fact that the console is set to be sold for the next five years, it seems that there will be life left in the 360 for some time to come.